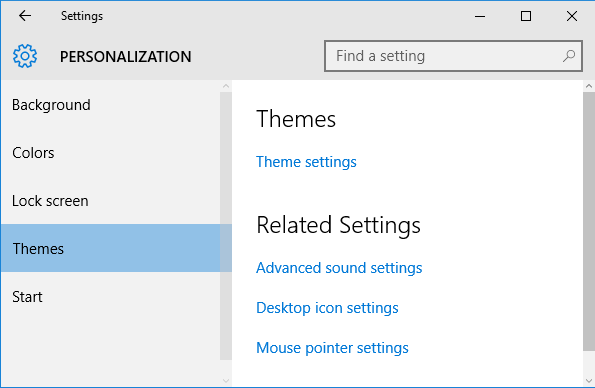 In Windows you can use themes to change desktop background, color and sound settings of your computer all at once to predefined settings (themes). Use below steps to update theme of your Windows 10 computer. 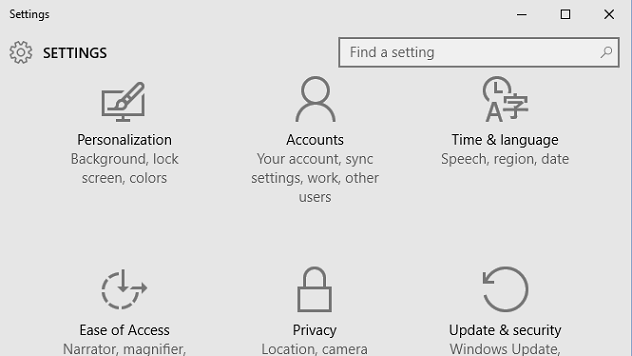 Open Windows 'Settings' App from start menu or by typing 'Settings' in cortana search box, and selecting 'Settings' Windows App. Navigate to 'Personalization' -> 'Themes'. In Right Pane, click on 'Theme Settings' under 'Themes' to open theme selection screen in Control Panel. 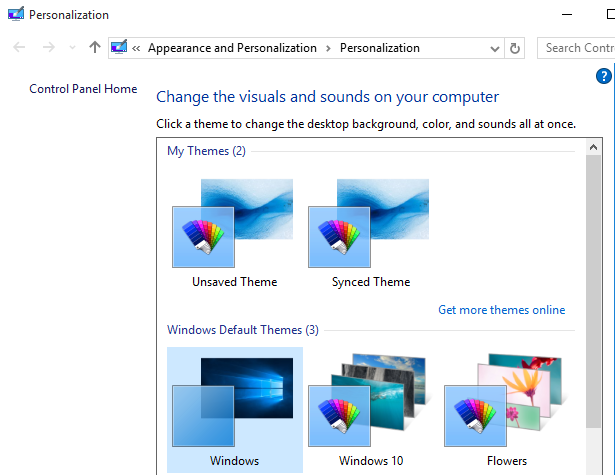 Theme selection screen will display all of available themes on your computer like Windows default themes, High contrast themes, and themes that you have created. Click on any of theme in theme selection screen to change your computer theme. You can also download more themes from internet by clicking on "Get more themes online" link.